AUTO UPHOLSTERY BY AJ - Northridge CA | Serving the Greater Los Angeles Area Since 1983 – Specializing In – Auto Interior Repairs – Custom Car Interiors – Convertible Tops – Vinyl Tops – Custom Boat Interiors & Repairs – Boat Covers – Bimini Tops & More! Our mission is to provide our customers quality service, quickly and to their full satisfaction. 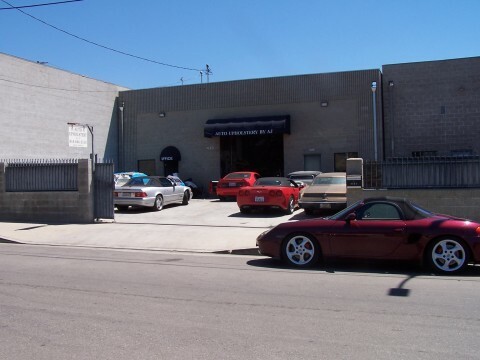 For over 30 years we have been the place for those in the Van Nuys, Northridge & Los Angeles area to go for their entire auto upholstery needs. "So rare now a days to get an honest quote. Places take advantage of you making the job look harder than it actually is. Not here!!!! Auto Upholstery by AJ – I've called numerous upholstery shops around the valley to install the soft top for my s2000 and they were quoting me something above $450. I called AJ and they told me they can get it done on the same day for $250. They did a phenomenal job at fitting the top and I couldn't have been happier with the price they charged. Highly recommended."